Jordan United Methodist Church in Baton Rouge honored its veterans during church services Nov. 10 in honor of Veteran’s Day. 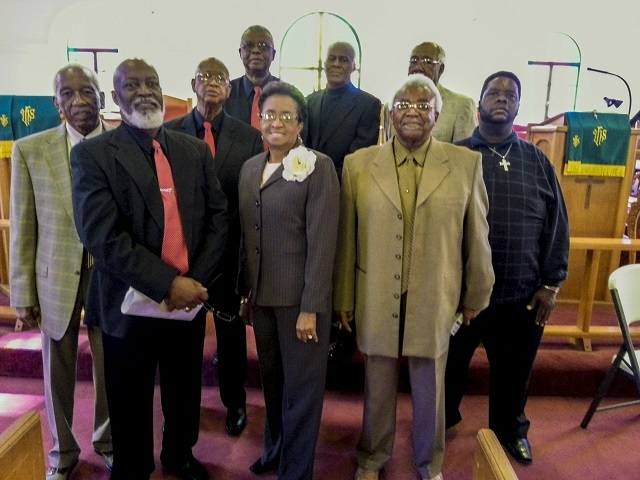 Those recognized were, front row, Jeffrey Patterson, Bobbie Kelly (representing Charles R. Kelly) and Samuel Ellis; and back row, Thomas A. Williams, Clifford Henderson, James Owens, Herbert Pate, Herbert Collins and Brena Roy Gasaway (representing Roy Gasaway). Not shown is William Cyrus.